Our website is conceived as a progressive web app. To skip the technical jargon and keep things short, let's just say this: it utilizes some of mobile web's most advanced technologies to bring you the experience of a native application, minus the downloading and installing from the App Store/Google Play. 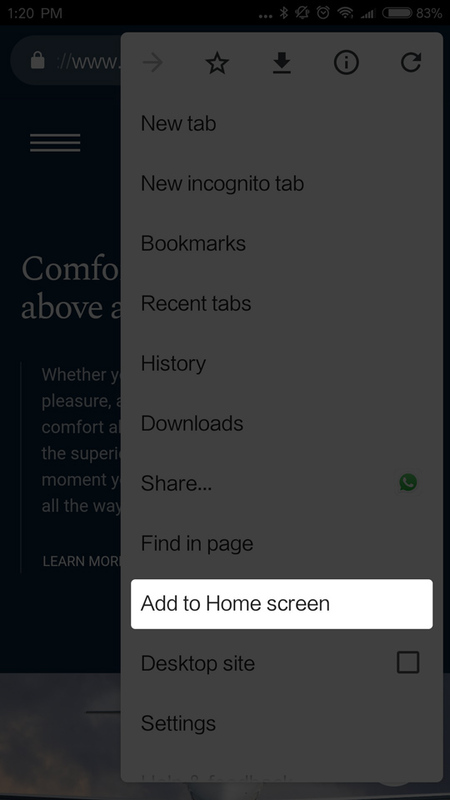 Scroll among the options until you find the 'Add to Home Screen' button. 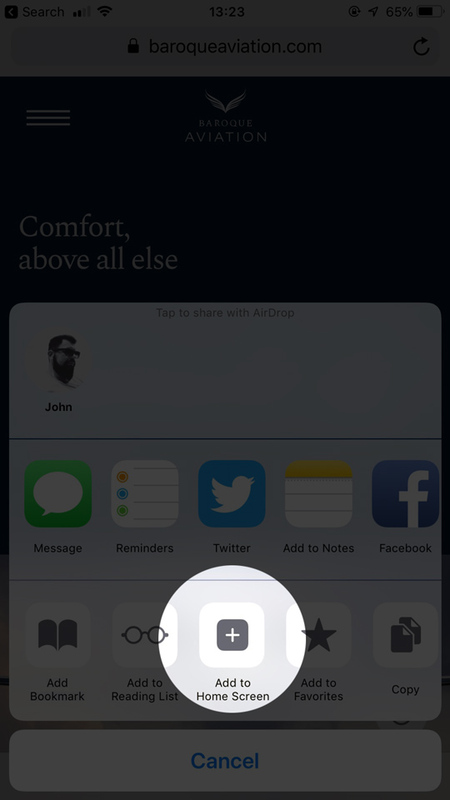 If it's not immediately visible, tap on the 'More' button more icon and you will find it in the list of options that appears. Confirm the action by tapping the 'Add' button. 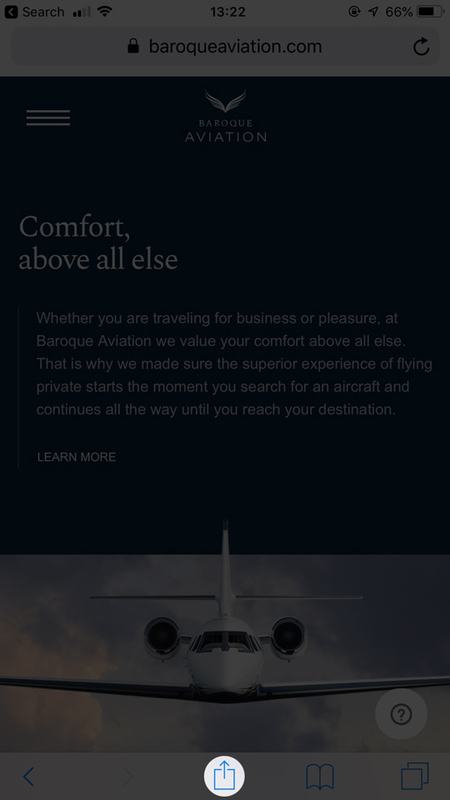 A Baroque Aviation icon will appear on your home screen. 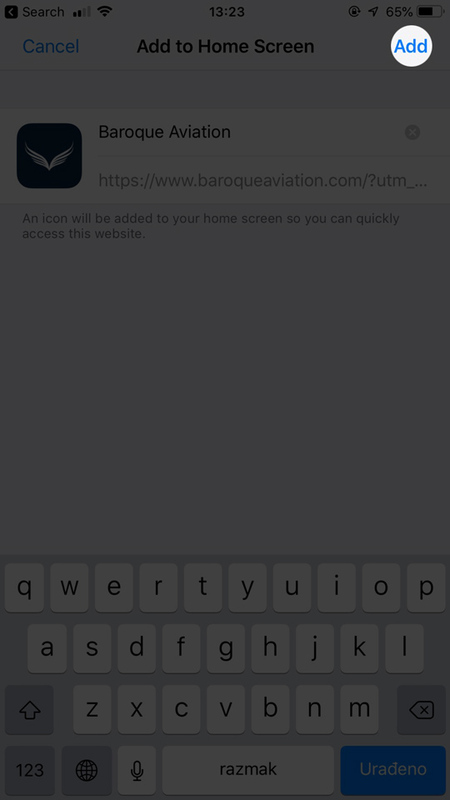 Open Baroque Aviation in the Google Chrome chrome browser icon browser. 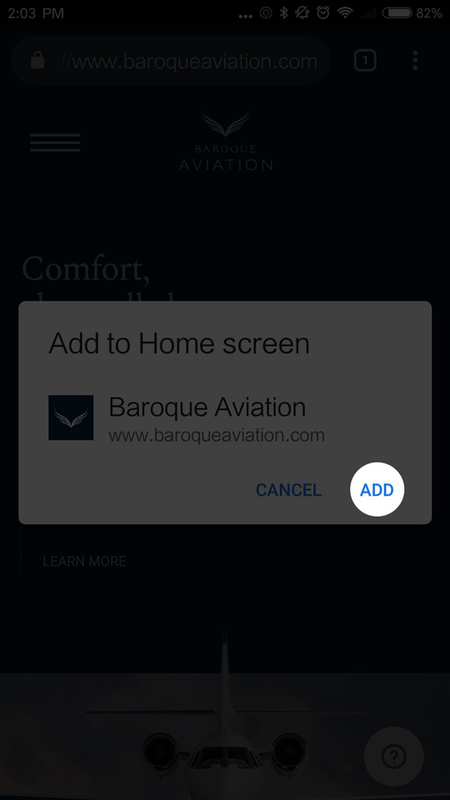 You will be automatically prompted to add the website to your home screen. In case you do not get prompted or you dismissed the prompt by accident, see Step 1a.